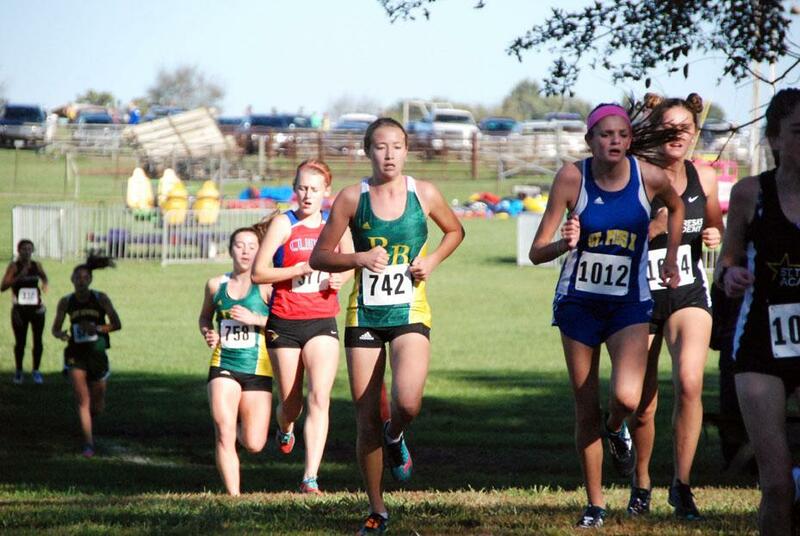 [dropcap size=”4″]A[/dropcap]fter losing in the state tournament last year — the boys finished fourth, and the girls finished 14th, respectively — the cross country team is seeking another run at the state title this season. The boys were able to clinch the No. 1 spot in all but two of their meets in the regular season. Most notably, the Bruins triumphed against the top team in the state, Rockhurst, in the Kearney Invitational on Oct. 8. RBHS was able to put up a total team score of 31, edging out Rockhurst’s 37. Senior Sam Baumer agrees with Blackburn, saying he believes one of the reasons for the boys’ success is the connection they formed over the regular season. The girls also had a fairly respectable year, managing to place second in a majority of their meets. Such success would carry onto the district competition for both teams. The boys scored a total of 21, while the girls secured a score of 79. With these numbers, both teams clinched the district championships on Oct. 22. After their triumphs in the district tournament, RBHS is now setting its sights on the upcoming sectional tournament Saturday. The boys’ and girls’ teams will face high-ranking state adversaries, including Saint Louis University High (SLUH) and Nerinx Hall. With this in mind, Blackburn still has high hopes. How deep will Rock Bridge get at state? Leave your thoughts in the comments below. Faaris Khan stands as The Rock's Editorial Editor in his final year as a high school student. When not pursuing his journalistic endeavors, he loves to watch basketball and spend time with his loved ones.